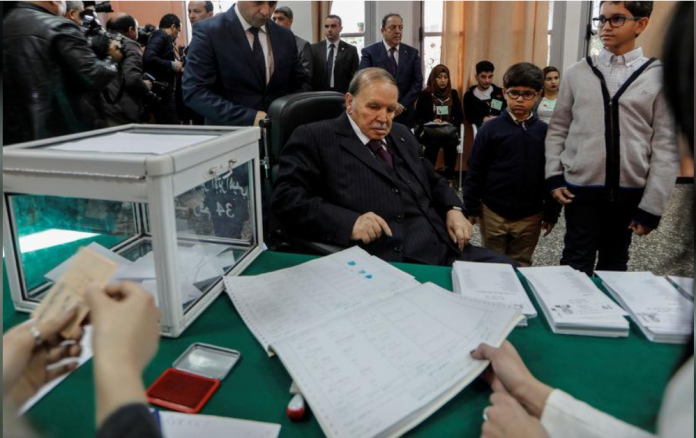 Algerian President Abdelaziz Bouteflika will submit his official application to seek re-election on March 3, his campaign manager said on Tuesday, despite protests against the move. “It is Bouteflika’s right to be a candidate,” Abdelmalek Sellal told a crowd in televised comments. This comes as hundreds of students protested on the main campus of the University of Algiers on Tuesday against ailing President Abdelaziz Bouteflika’s bid for a fifth term, in the latest rally against his candidacy. University guards locked the gates of the city centre campus to prevent students from spilling onto the streets of the capital, which had seen a massive anti-Bouteflika protest on Friday, AFP reporters said. The protest — staged under the banner “not in my name” — came in response to calls to demonstrate posted online after 11 student unions expressed their support for Bouteflika. “We’re organising a demonstration to show that these 11 unions do not represent us,” 23-year-old civil engineering student Hakim told AFP at another campus near Algiers. 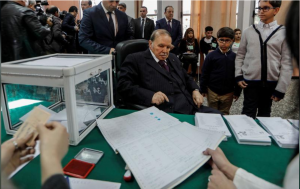 Bouteflika, who uses a wheelchair and has rarely been seen in public since suffering a stroke in 2013, announced on February 10 that he will seek re-election in the April 18 vote. The 81-year-old leader flew to Switzerland on Sunday for what the presidency called “routine medical checks” ahead of the election.